It could be said that contributor Anthony Boutard of Ayers Creek Farm is somewhat of an outlier. He has championed the causes of flint corn and parched green wheat, choosing to grow the ungainly (but delicious) Sibley squash over butternut. Seeded grapes are also on this list, deserving of a cri de coeur. As we have noted previously, the fruits developed at the New York Experiment Station in Geneva were named after hamlets and county seats in the state. The towns of Canadice, Interlaken, Steuben and Sheridan lend their names to the grapes we sell. This week, we arrive downstate at the big one, the New York Muscat, and like the burg it is named after it is big in the mouth with an outsized character. A hybrid, a melting pot of the best of American grape character with the exotic qualities of the Black Hamburg Muscat. There is a bit of seediness at its center, but that is the essence of its urbane nature, not a blemish. Just as Times Square must be appreciated as part and parcel of the city's complex character, not a blemish. We fully understand that some people are truly unable to chew the seeds because of dental work or diverticulitis. But for others, we urge you to approach the seeded grapes fearlessly. The maturation of the seed in a grape triggers biochemical changes in the fruit that are reflected in its flavor and aroma. 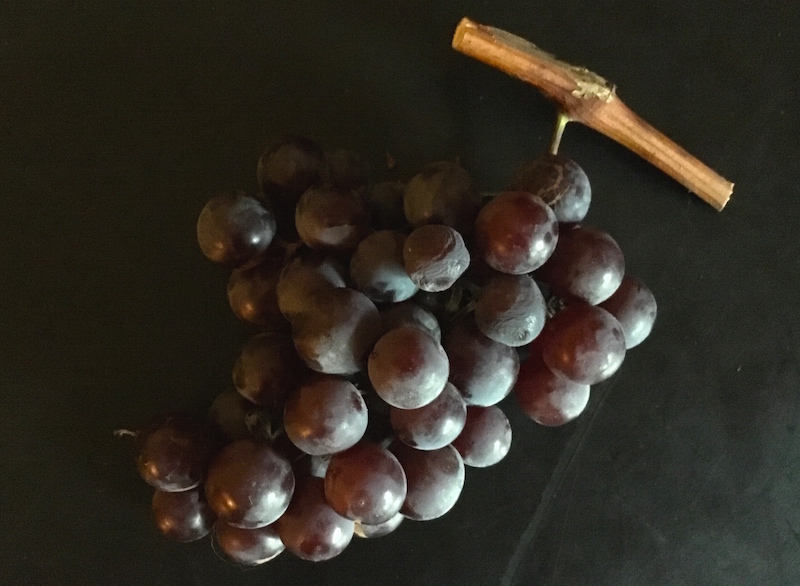 The seedless grapes we sell are delicious and we enjoy them, but they suffer from a Peter Pan complex in that they are forever lost in childhood, unable to develop their mature character and flavor. To shun grapes because they have seeds is to shut out a whole range flavors that grapes develop. 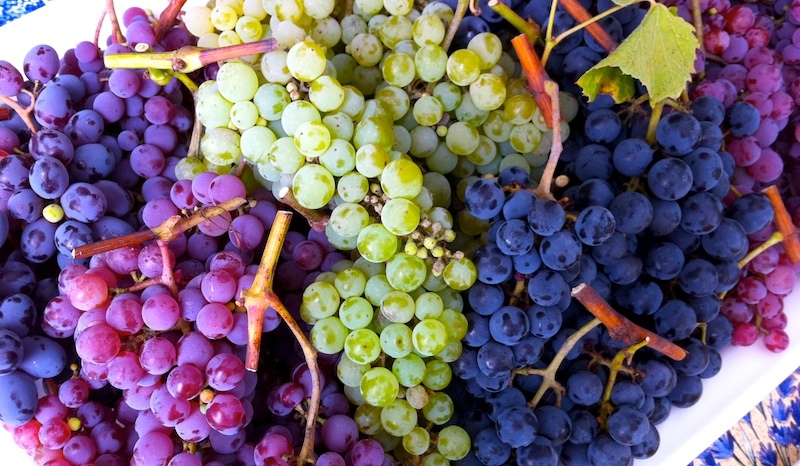 The complex black muscat flavors in the New York Muscat or the delicate rosewater notes in the Swenson White can never develop in a seedless grape. The seeds themselves have a wonderful spicy flavor when chewed, a fine counterpoint to the sweet flesh of the fruit. It is also a powerful little nutritional package which has the everything needed to generate a whole new grape vine; ponder that before you spit out the tasty morsel as though it is trash. Sakes alive, people heap praise on the soapy quinoa seed, which only produces a weedy annual, but shrink from a spicy grape seed that will produce a perennial vine than can grow a century of more. Makes no sense at all when you actually think about it. The seeds of Price and New York Muscat are thin skinned, so it is easy to savor the full character of the grape. 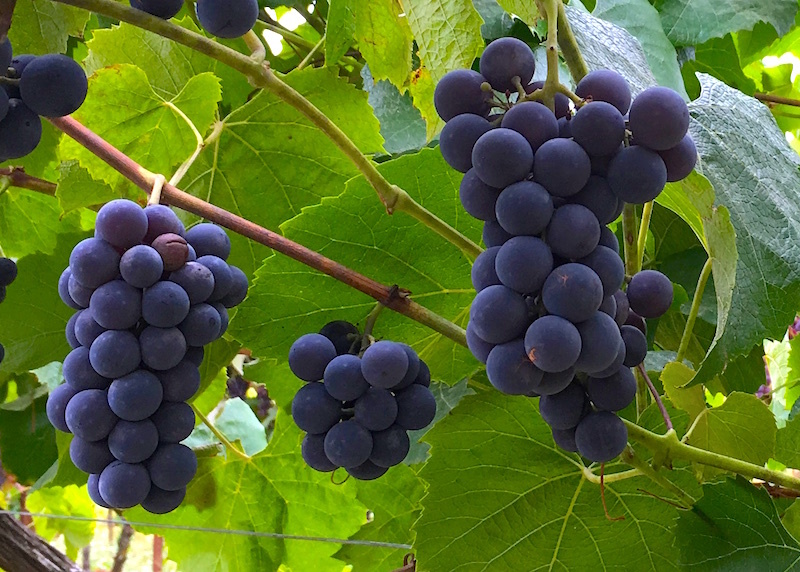 Someday, the maturation of Portland's palate will include the savory grape seed, appreciating the flavors and nutrition of whole grape as much as whole grains. Oh, dream on, you naifs of Gaston. This defense of seeded grapes has long been pursued by idealistic grape growers to no avail. Then again, as a friend would remind us, hope springs eternal. That is why we still grow and harvest them where less resolute have torn out their vines in favor of the seedless grapes. We will be ready for the great grape seed awakening.